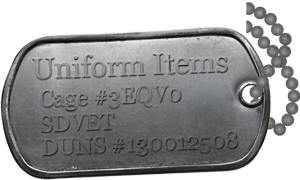 Armed Forces Civilian Service Medals are sold one per pack. The box set consist of the large medal, lapel pin, and ribbon mounted inside the presentation box. Manufactured in the USA. The Armed Forces Civilian Service Medal (AFCSM) is established to recognize the contributions and accomplishments of the DOD civilian workforce who directly support the military forces, when those members are engaged in military operations of a prolonged peacekeeping or humanitarian nature. The AFCSM symbolizes the importance the DOD attaches to civilian service and recognizes the value of civilian service in helping to accomplish our Nation's objectives. This award honors those employees who support designated operations under the same or similar conditions as our military members, thereby strengthening the unique partnership between our uniformed members and the civilian workforce. The award is approved for issuance to eligible civilian employees as defined in Section 2105 of Title 5, United States Code, who would be eligible for awards under DOD 1400.25-M, including non-appropriated fund employees. In most cases, that means that if an employee is eligible for other Army honorary awards, they would also be eligible to receive the AFCSM.